I am really pleased to welcome Nicole Wright as our guest winner. Nicole is a very busy lady and creates some of the most amazing and exciting projects. 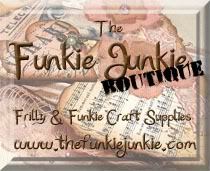 Let’s take a look at what she has created for us all at A Vintage Journey and when you’ve finished go find her blog Canadian Nickel Scrap’n and take a look at all the other wonderful things she makes. SHUT THE FRONT DOOR... 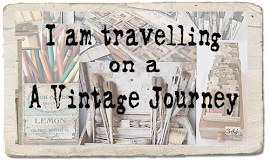 I am taking A Vintage Journey and I hope you'll all join me! OK, you may have noticed my subtle excitement about being a guest over here on A Vintage Journey. I'll be your tour guide for this guest spot and if you need anything...my name is Nicole. I am Canadian and love it! I have been with my husband for 20 years, 3 teenagers and a crazy Golden Retriever. I live in Calgary AB. The Rockies, Banff and Lake Louise are in my back yard. I could live in my motor home. I have been creative my whole life. I started on the vintage "creative" journey about 4 years ago and I was hooked. I was recently published for the first time...my fault for never trying. This past year I was voted by my crafty peers, North America's Top Crafter 2014 for Sizzix. I'm very proud of that and humbled. I was flown to Sizzix where I met the most incredible creative people. I tried to get them to adopt me. This photo was taken right after I spent the day with them. Can you see, I'm beaming! I've been told I am fast at making stuff, people always ask me if I ever sleep and... I am super shy! Enough about me... lets check out why we're all here! Challenge #20; Birds of a Feather. I knew I wanted to make a Holiday Wreath and somehow fit birds in which I managed to do. I found these big gawdy gold jingles at my local $1 Store for $1.50 each. A little alcohol ink and they are transformed! I stacked up these ADORABLE Eileen Hull Blocks/Cubes and created gifts! You can see a whole Blog post with details HERE for these. I created a holiday candle with the Candlelight die. I cut the holly from mini blueprints onto watercolor paper and inked with distress markers. Then I added a Tied Bow, Holiday Greens and a bunch of distress goodies. I wanted to create a big anchor point for the top of my wreath. So, I built one! Finally, it's the Christmas Cardinal! Bird's of a Feather...I created 3 of these and tucked them around the wreath. I cut and glittered the NOEL die with distress glitter Pumice Stone. I added the Hanging Lantern's and made them festive. The Christmas Bell is so pretty inked in tarnished brass distress paint. The metal holly and berries came off the big jingles. I used alcohol inks to take the gold away. I made these little sleighs and added my vintage twist to them. Well, I made a few to add. I have a full tutorial HERE so you can make your own. Here's my big jingle again where you can see I added some greens and tattered pinecone. I also added this awesome wooden tag from Southern Ridge Trading Co. You can ink this stuff...love it! LOOK, it's the Jumbo Tattered Pinecone! This large pinecone is the perfect die for larger projects! The other Hanging lantern...and my favorite lantern. I cut a couple of holly and layered them. For the glowing lantern, I crackled acetate then used some honeycomb alcohol ink. Looks real! All lit up and above my mantle. See, the ice skates there to the left. 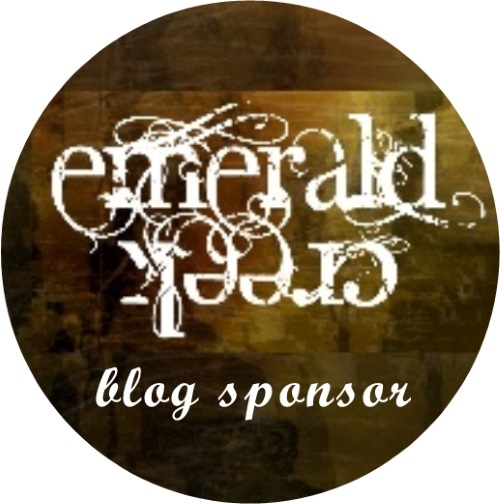 I want to thank A Vintage Journey for having me on their blog! I so love popping over here and being inspired. You all do an amazing job keeping us all crafty! Thanks Nicole we’ve loved having you inspire us with this amazing wreath, it is certainly a piece of home decor anyone would love to have up over the festive season. You have provided us with so many creative Christmas ideas and filled the wreath with amazing Tim inspired ornaments, it is a very beautiful work of art. Don’t forget to pop over to Nicole’s blog Canadian Nickel Scrap’n to see all of her fabulous projects. 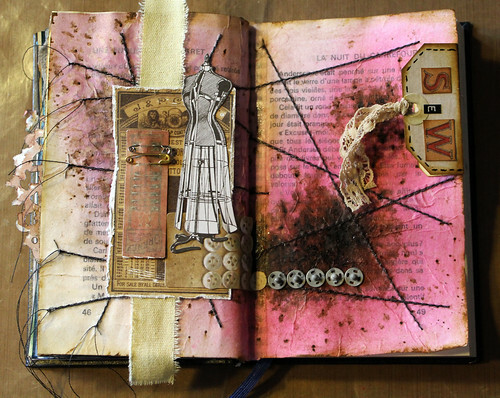 I just loved the collection of ephemera on these journal pages and the layers added to give such a great collage feel to it. Ruth was inspired by the altered distressed look that Tim creates and of course by his layering of found or collected ephemera pieces. Ruth your lovely project will be added to our Winner's board and your badge and voucher will be on their way to you too. Well done Ladies all these amazing creations will be added to our Pinworthies board and badges will be on their way to you too. Thank you to everyone who took part, your projects were amazing and what we particularly love to see is how people use Tim’s ideas and techniques with different materials, supplies and tools. We are constantly amazed and inspired by all your work. Thank you for joining me again today and we look forward to a new challenge on Friday which will also have a special announcement attached to it. So do pop over to see what is coming up for the last challenge before Christmas. Wowzer that is one fantastic wreath! What a gorgeous wreath - with so many wonderful die cut creations on it! A true work of art for the holidays Nicole! Thanks so much for joining us as Guest DT and giving us such creative inspiration!! Congrats to all the Sew it Up winners as well! Congrats to all of our winners, amazing projects from you all! Loved finding out a bit more about Nicole, and wow, that wreath is amazing, lit up it looks even more incredible! You certainly have made fantastic use of all your TH dies Nicole, this is stunning!! Thank you dear Team, I feel so honoured to be chosen as the winner. And congrats to the pinworthy ones as well, they are a lot of inspiration! Absolutely love your wreath Nicole, your craft projects are always beautifully made and full of inspiration. It was also nice to read a bit about you. Congrats also to our Winner and Pinworthies. Shut UP, Nicole! This is awesome! You never fail to amaze us all with your talent and enthusiasm! I love it even more when it is lit on that incredible stone wall! Congrats to all the Sewn Up winners! Great job, all! Thanks everyone for all the sweet comments. Thanks again AVJ for hosting me...as difficult as I can be ; ) About that wall... I put it up myself! I love the wreath on it. I love that wreath! What a great way to use dies which I am insane over. Thanks for sharing this project! I love it! i love this Tim inspired wreath. festive and fun. What a showstopping festive make from Nicole - wonderful! And congratulations to Ruth and all the Pinworthies. Congrats to the winners - so well deserved. Oh Nicole -Alison couldn't have said it better, showstopping. This is beyond fabulous!!! Ring out the old - Ring in the new. Destination Inspiration - Let there be light!